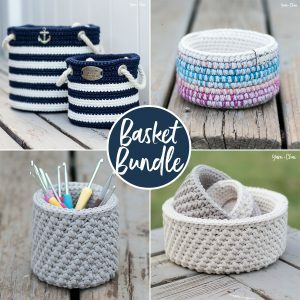 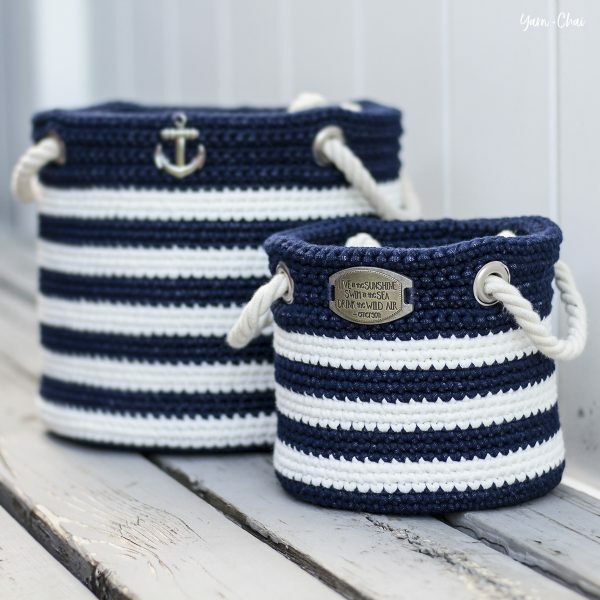 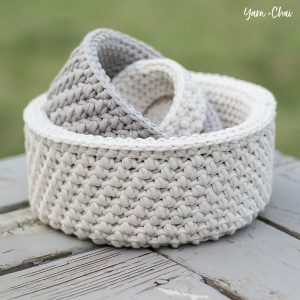 If you love nautical decor as much as I do, you’ll love making these super easy baskets that look like something out of a catalog. 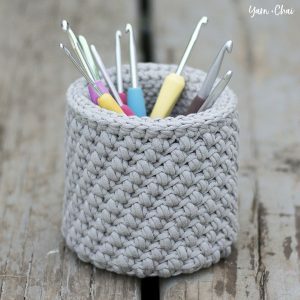 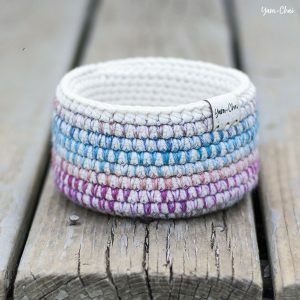 If you haven’t done grommets or eyelets on a crochet project before, don’t run away. 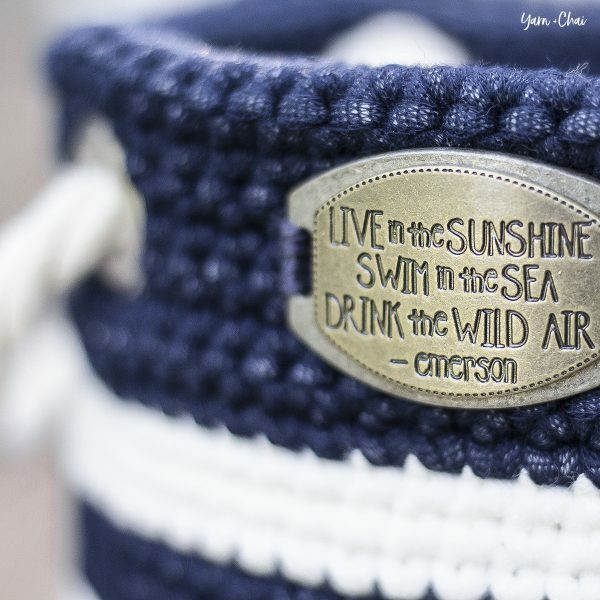 I promise it’s easy-peasy. 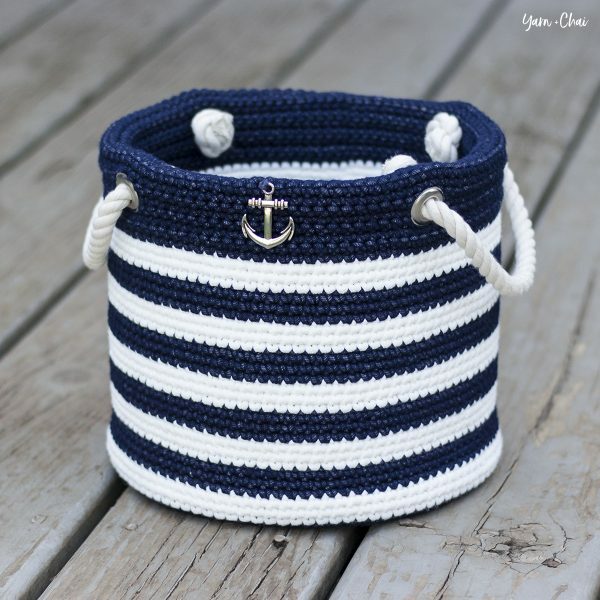 And you can’t beat the professional finishing touch they give to these baskets!